BOIL WATER NOTICES for 11,300 people in Roscommon have been lifted, Irish Water has confirmed. The HSE has lifted the notices for households in Killeglan and Castlerea, following EPA inspections of these plants early this week. Environment Minister Alan Kelly said the development wouldn’t be possible without the creation of Irish Water. “This now means that over 17,000 people can drink their water in Roscommon this year that couldn’t last year. This would simply not be possible without the creation of Irish Water. Kelly said the semi-state utility has implemented a €26.8 million programme that will allow boil water notices be lifted for 22,700 people in county Roscommon throughout 2015. Some people in these areas have had to boil water for drinking since 2009. Work on the Boyle Ardcarne Regional Water Supply Scheme was completed in December 2014, seven months ahead of schedule. Work on the Killeglan and Castlerea plants was finished earlier this year. Water notices in Boyle were officially lifted for 6,000 people on 1 May. Kelly noted that three other new water treatment plants at Lisbrock in south Roscommon, Ballinagard serving Roscommon town and Ballyfarnon serving Arigna, are close to completion. 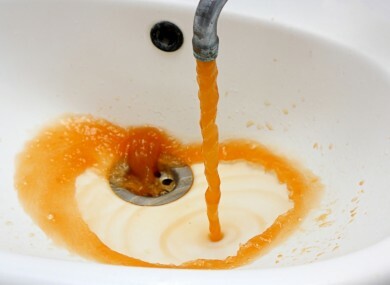 Email “Thousands of people are FINALLY able to drink their tap water again”. Feedback on “Thousands of people are FINALLY able to drink their tap water again”.